An overview of the Spending Power of the new generation of Asian Americans. University of Illinois, Urbana–Champaign: A Chinese international student named Michael just moves to the US to attend college. The generous allowance provided by his parents is far above what he needs for normal campus expenditures, so Michael uses the excess cash and buys himself a Cadillac Escalade at $80,000.2 These real stories are just the tip of the iceberg, when it comes to describing the staggering spending power of Asian Americans. In multicultural marketing, the populous Hispanic and African American groups, by default, are many brands’ strategic focus. In terms of population, 56 million Hispanics & 44 million African Americans inevitably outweigh 18 million Asian Americans in the US.3 But if the benchmark shifts from population size to spending power per capita which is of significant importance to business, the prioritization will immediately see a dramatic shift towards Asian Americans, as their spending power per capita is nearly equivalent to that of Hispanics and African Americans combined.3 As a group, Asian Americans collectively have $825 billion4 to spend and this figure is growing at an unprecedented rate. 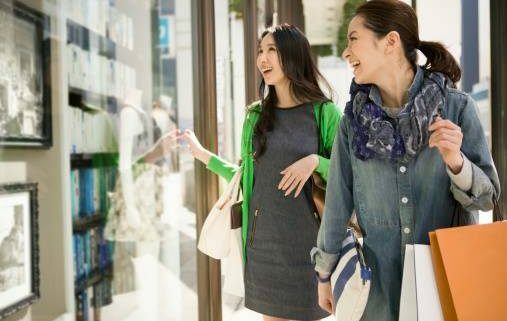 The remarkable economic power of Asian American consumers is largely attributed to the group’s high-speed demographic growth and rapidly evolving socioeconomic profile. Asian Americans are the fastest-growing (up 58% from 2000 to 2013) and most culturally diverse group in the US (primarily composed of 6 ethnicities – Chinese, Asian Indians, Filipinos, Vietnamese, Koreans and Japanese).5 The population increase is fueled significantly by recent arrivals. Amid a decade-long surge in Asian immigration, China and India have, as of 2014, replaced Mexico as the two largest sources of new immigrants to the US.6 Notably, unlike previous generations who fled to the US in the tumultuous ‘60s and ‘70s, recent Asian immigrants are coming from an ascending Asia. The majority grew up in urban middle class families and received solid educations before moving to the US for higher studies (mostly self-funded), job opportunities or family reunions. In the past few years, China and India have surpassed all other countries as the top two sources for the enrollment of international students at US colleges7 and as recipients of US visa programs for highly skilled workers.5 From smaller towns in the Midwest to metropolitan cities that line the coasts, Asian immigrants have become a uniquely vibrant source of income for local economies. But it’s not just the skilled. It’s also the rich. America remains inarguably the no.1 migration destination for wealthy Asians, particularly Chinese.8 In 2015, 84% of the investment-based US immigration program EB-5 visas, which require a minimum of $500,000, were issued to rich Mainland Chinese9, and there are plenty more on the wait list. The stable stream of recent arrivals has brought Asian Americans’ foreign-born rate up to 75%5, the highest among all US ethnicities, infusing and energizing a contemporary Asian bilingual and bicultural lifestyle. Influenced by the burgeoning economy of emerging Asian markets and empowered by the swift global exchange of digital technology and social media, recent Asian American immigrants and second generations, many of whom are raised with cultural sustainability, have stronger cultural confidence and exert growing influence on the US mainstream, especially on digital and social channels. Eddie Huang, Chinese American TV personality and Fresh off the Boat author, recently collaborated with MeUndies to create bold content that defies racial stereotypes and man body anxiety. Jason Wang, a Chinese American restaurateur and businessman, transformed his father’s small Flushing tea shop into the New York City culinary phenomenon Xian Famous Foods, which counts Anthony Bourdain among its returning customers. The witty performance of Asian Indian comedian and writer Hasan Minhaj at the 2017 White House Correspondents’ Dinner has gone viral and swept the country. There are also active key opinion leaders in culture and fashion like Ryan Higa and Amiee Song. With original content, they interact with millions of followers over social media on a daily basis and cast a deep influence on a wide range of audiences including the mainstream. For brands, these thriving innovators have forged new opportunities to engage with the affluent yet savvy Asian American consumers. Forecast of International Travelers to the United States by Top Origin Countries, 2016, U.S. Department of Commerce, International Trade Administration, National Travel and Tourism Office; Statistics Canada; Banco de Mexico.